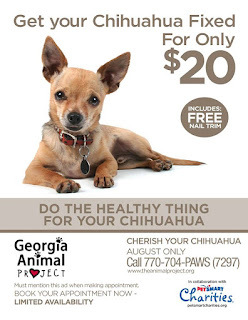 Georgia Animal Project is offering $20 spays and neuters for Chihuahuas. Surgeries will be scheduled for August, by appointment only. Availability is limited. 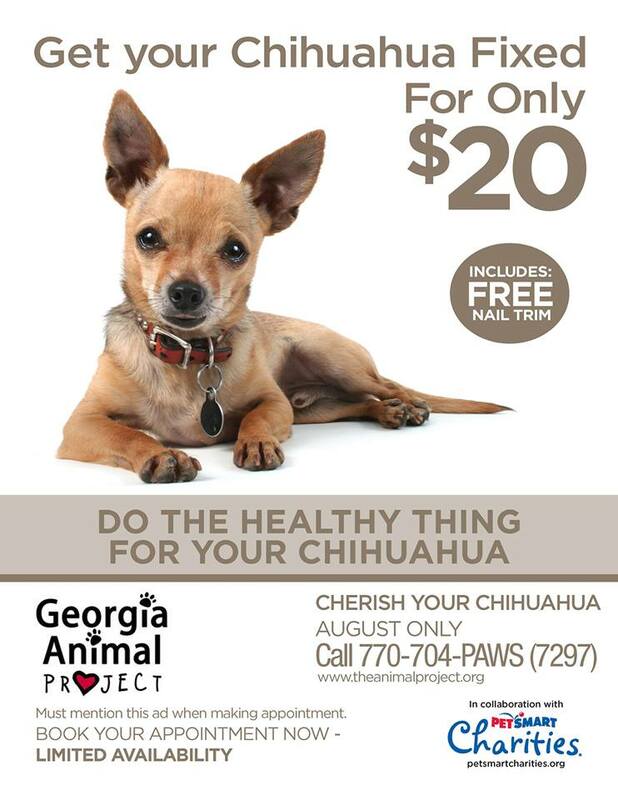 Please call 770-704-7297 to schedule your pet's appointment and mention their "Cherish Your Chihuahua" program to receive discount. Appointment will include free nail trim.